As our goal is to provide a product to our clients, with which we ourselves would be pleased, we take our clients satisfaction very seriously. Below are comments made by some of our clients. 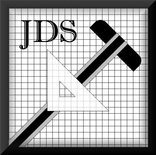 Working with Jones Drafting Service is a pleasant experience all around. From start to finish, Jones Drafting Service was very professional experience, and all of our questions and concerns were handled with respect and care. Our project lasted about 2 years (900 sq ft addition completed by me), and through it all we were able to ask questions and get guidance as we moved forward. Cris is professional, competent, and honest. I have known him and used his services for a couple of years. I am now retired but have referred him and will continue to. I know that people to whom I have referred his services are also pleased. Worked with our contractor to obtain a permit for rebuilding our deck. Was thorough and quick and recommended by our contractor. Was very happy with results. Deck rebuilt in 2016 costing $4k. Drawings very detailed for work to be done. Chris was super great to work with and I was surprised at how fast his turn arounds were. Loved his work, very professional and creative. If your looking for someone that can listen to you .And come up with a rough draft of exactly what your thinking. Cris Jones it the man! Jones Drafting Service (Cris Jones) has been providing Architectural plans for many years. I have hired Cris to assist me in learning the CAD drafting system I use as well. I have had Cris draw a number of plans for projects when I was too busy myself. Cris has always delivered a quality product at a reasonable fee and within the timelines he has promised. I have referred clients to Cris and have always received positive feedback on his performance. He has a busy schedule so plan ahead. I enjoyed working with Mr Jones on a project we did in Ukiah. Easy to get a hold of very quick to respond to questions we had on our project. he had great ideas that helped our project move along efficiently. We have hired him for another project we are working on. I would highly recommend Jones Drafting, he has done numerous projects for us. We are always extremely satisfied with the attention to detail. We always end up with plans that are exactly what we wanted. We have never had a problem with obtaining permits when he draws our plans. I would recommend this company for any projects you have. Amazing service and professionalism. We opted to not use an architect and were so lucky that JDS was able to fill in those gaps for us. We had the privilege of working with Cris Jones on our house plans. He helped bring our ideas to life on paper. He was patient and respectful and truly had our best interests at heart. We were thrilled with his work and give him the highest of recommendations! You must hire Jones Drafting Service. Very professional work, easy to work with, very reasonable rates, and assisted us in our final in design. He came highly recommended by more that two contractors and we now know why! The contractor said that the plans were easy to understand and clean! He was very responsive and detail orientated. We have worked with drafting services before, and nothing compares! jones drafting service provides and excellent product at a reasonable price. cris, prepares well formatted drawings that are organized and accurate. spire architecture will continue to use cris on as many projects as possible in the future. i can personally recommend jones drafting service for any drafting service you may require.